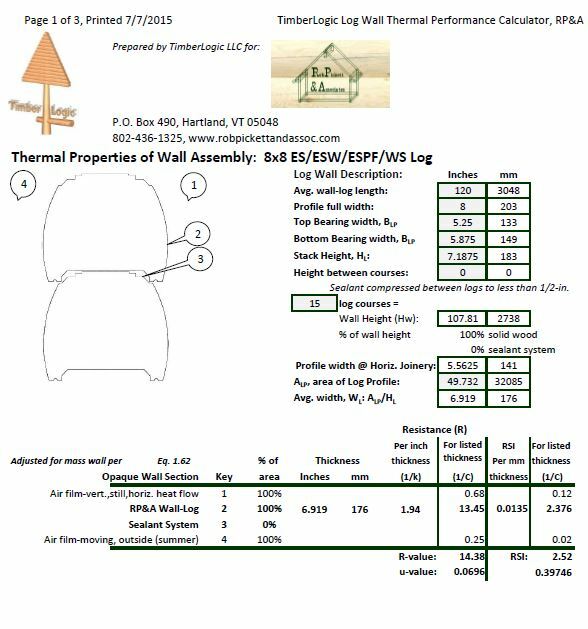 Log walls and log/timber roof systems are not always well represented in computer programs used to model building energy code compliance. The special nature of these alternative methods and materials of construction require specific analysis so that designers and code officials can integrate them. Using ASHRAE Fundamentals and Standards, alternative building assemblies are documented to establish thermal properties to demonstrate compliance with energy codes. The reports showing the calculation should be attached to plans or REScheck® calculations when the u-factors or R-values have been entered. calculations when the u-factors or R-values have been entered. Services range from custom analysis on elements of the thermal envelope or use of energy performance software. Evaluation of building systems to improve performance.